My wife started going to this cafe in Bentleigh and was going on and on about the coffee. This would be a great opportunity to complain about my wife but that will need to wait for another post. This post is about Bent Espresso. 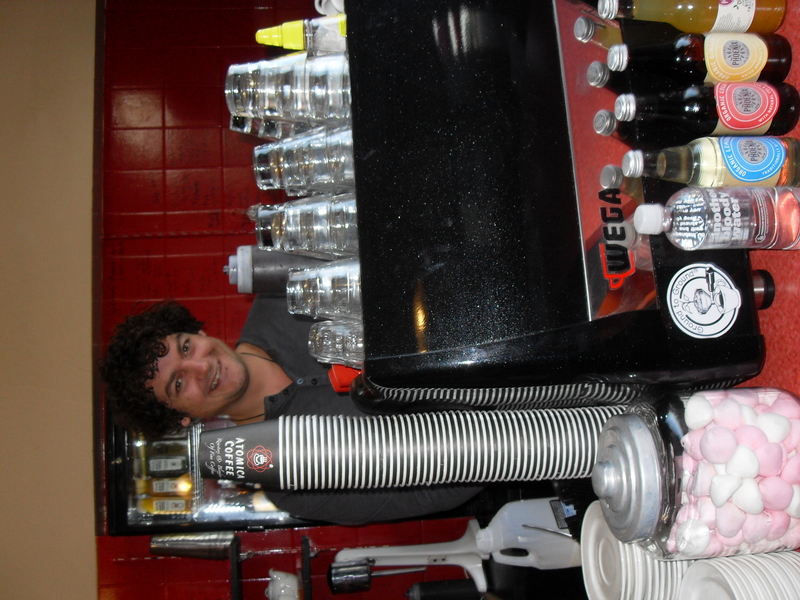 Joe is the owner and barista of this lovely cafe in the heart of Bentleigh’s busy Centre Rd shopping strip. The coffee is very good and they have these cookies with smarties baked into them. I order them for my son and always make sure that the appropriate daddy tax is collected prior to handing it over. Joe has always been an advocate for Ground to Ground. In fact, he was into it before we even had the name and logo, and since then we have the logo, and about half a tonne of his fine coffee grounds have ended up in my garden. The best part about developing ideas with others is the sense of community it brings, and the knowledge that we are making a difference in a small and important way. You should join us. Did I mention that the coffee is really good? Others think so too, you can see what they think on the Urbanspoon coffee review site. Tags: cafe, coffee grounds, collecting coffee. Bookmark the permalink. All kinds of stuff going on here, that’s for certain. Just keeping up with writing work while writing for my own projects is a bear. We have Smarties here. I bought my GF a huge bag and lined her basket with em back in Easter. We have no decent coffee shops here in my county though. Just overpriced franchises that aspire to greatness with coffees that are no better than a convenience stores. What you’ve shown here looks very appealing. My GF would be in heaven. She’s a Smarties addict, and the coffee would be the end. Alas, we are in the U.S.
What’s up Paul, you need Smarties in the US! !